The Cochise College Skills USA Club hosts the 21st High School Welding Competition Friday on the Sierra Vista campus. A High School Welding Competition contestant works on her project Friday. High School Welding competition participants Gavin Prange, Red Mountain High School sophomore, and graduated senior Maya Crabtree, who now attends West-MEC in Glendale, talk about their projects at Friday’s competition. Sparks fly as a competitor cuts out a form during last week’s 21st High School Welding Competition at Cochise College. High school welding competitors gather prior to Friday’s competition. 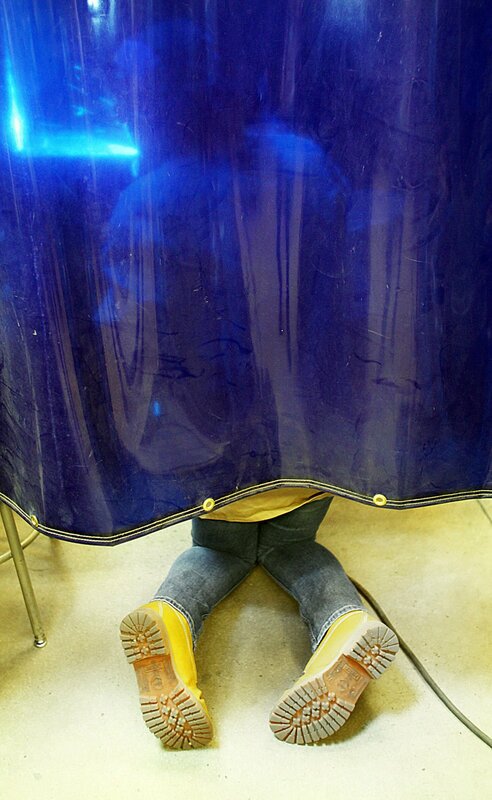 Buena High School junior Cassandra Bosley waits to show a welding instructor her project. Cochise College welding student Jason Merrymon checks out the competition projects at last week’s event.